Our arrival and departure at Ponta Delgada was in treacherous weather – Rainy and windy! And that was how it was for most of the time … except for the one glorious day on the bus trip to the lakes! For that reason and the fact that we were getting very exhausted (and need rest badly!) 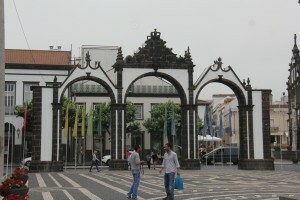 and fell behind in washing and cleaning and making contact with family and friends, forced us to get down to business while the rain is preventing us from taking on the City of Ponta Delgada! 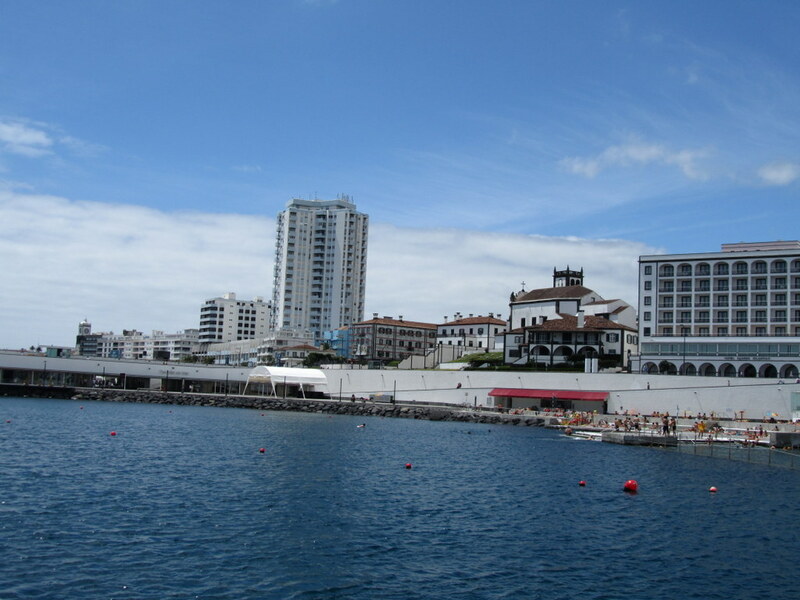 We had a quick walk through town on one of the better mornings – mainly the main streets and I was slightly disappointed to find a very modern, cosmopolitan and built-up city! Especially after having seen all the previous islands with their cute, well reserved old buildings! A day bus trip through a small part of the Island (Western and Northern parts) on the other hand has blown me away! The information provided by the tour guide was outstanding and just made it so much worth the while! 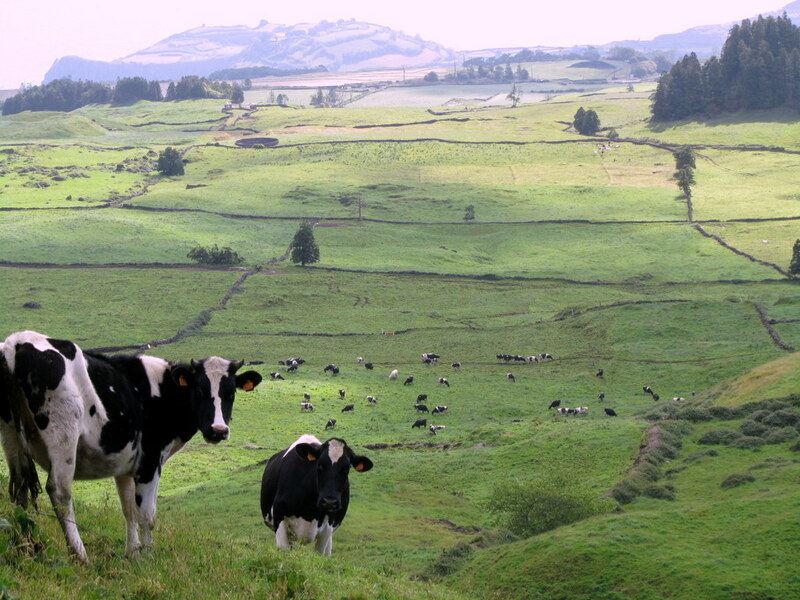 One amazing fact that I will never forget is that all Nestlé’s Baby milk products get their milk from São Miguel – because of the organic state of it and the high quality of the milk! Amazing! The sceneries in my pictures will speak for themselves – it has it all!… green rolling hills, beautiful mountains, white beaches, blue waters and the most beautiful lakes! 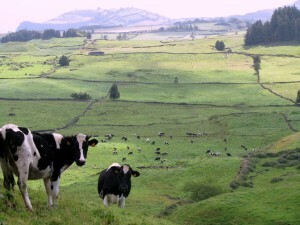 No wonder S. Miguel is known as “The Green Island”- it is also the largest and most populated of all the Azores islands. 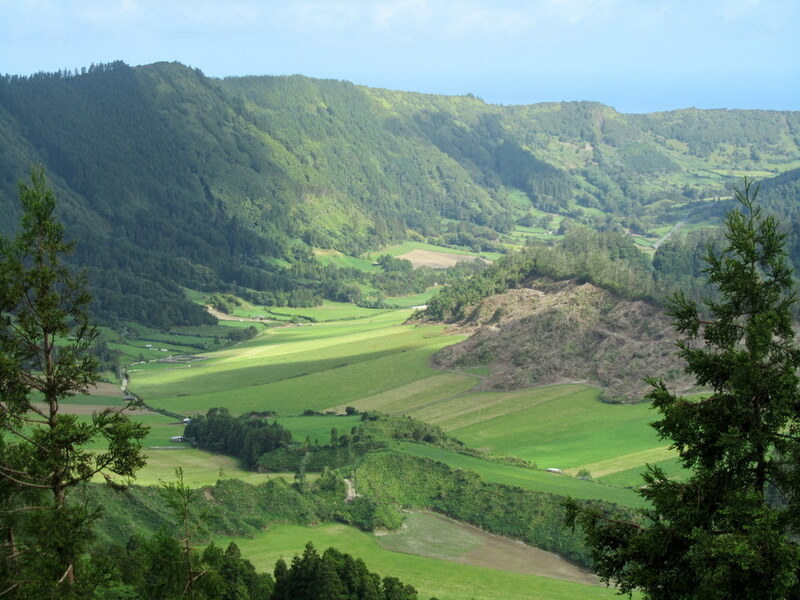 I would like to come back one day and see more of this beautiful island. This was also our departing point to Portugal. We were only 3 yachts leaving from P. Delgada and the “Mini ARC Fleet”of Scolamanzi, Luna and Purr-fect had a great time keeping in radio contact twice a day! 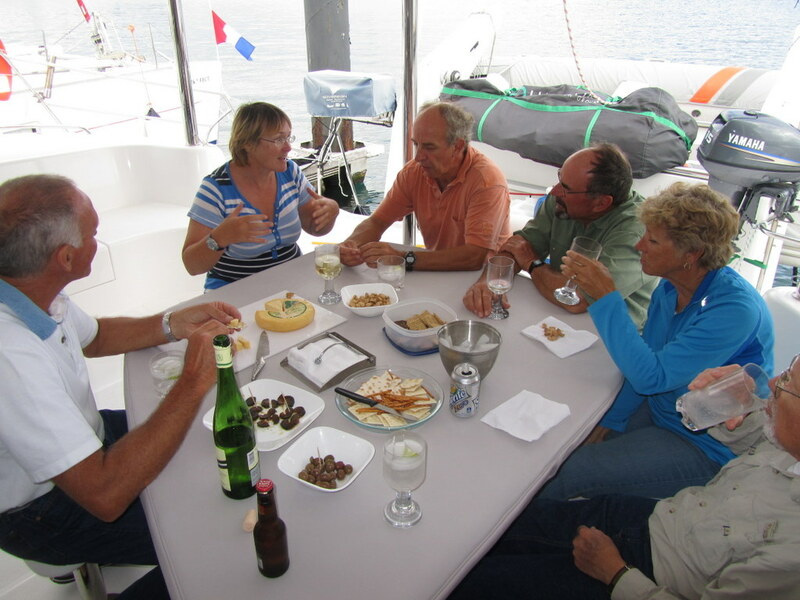 Scolamanzi was the first yacht of the ARC fleet to arrive in Lagos (not the fastest – as we departed 24 hours prior to the rest) and all I can say is … it is great to be in Europe! The one sad good-bye was to Time Bandit … Stewart and Ann … but I feel it in my bones that we will see them again in the Med! Last drinks on Scolamanzi with Stuart and Ann! Previous PostDodging the Big Cargo Ships …Scolamanzi made it to Portugal!Next PostLagos – the first port of call in European waters … and the last port of call as part of ARC Europe!